Greeting from RK Gulf Travels,Bhilai !!! Interview Mode : DIRECT CV SELECTION WITH TELEPHONIC INTERVIEW. 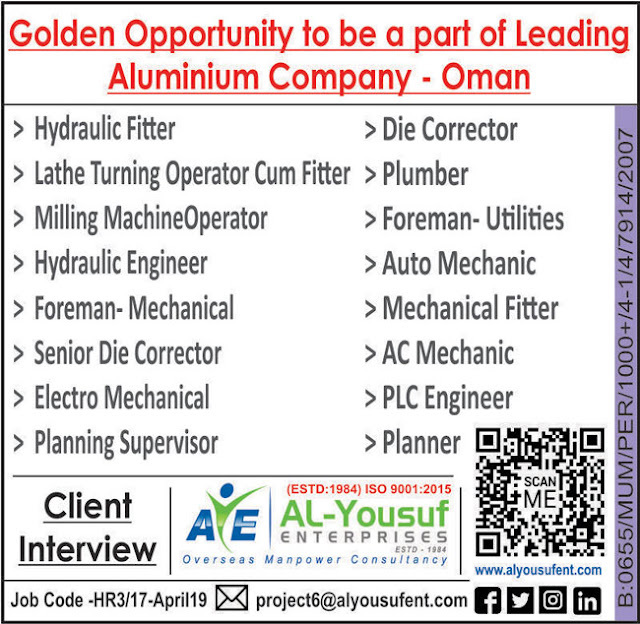 All should have experience in GULF Country with construction work in Oil & Gas / Refinery Plant / Petrochemical Industry. 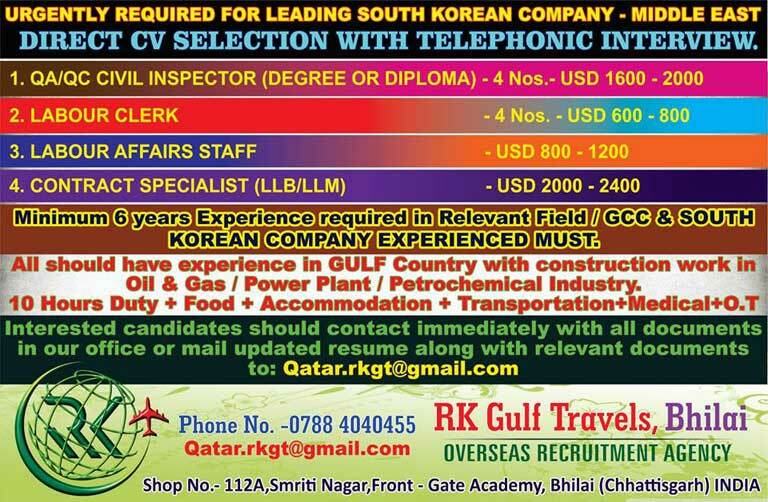 Minimum 6 years Experience required in Relevant Field / GCC & SOUTH KOREAN COMPANY EXPERIENCED MUST.